MCLEAN, Va., June 15, 2016 – Iridium Communications Inc. (Nasdaq:IRDM) announced that its first Iridium NEXT satellites have completed assembly and testing, and are now prepared for shipment to the launch site at Vandenberg Air Force Base in California. 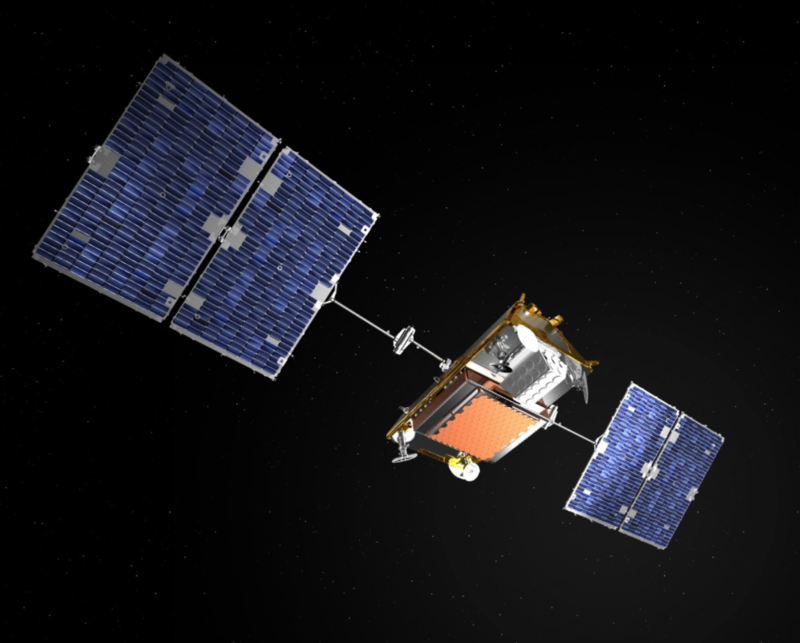 Iridium Communications Inc. (Nasdaq:IRDM) announces its first Iridium NEXT satellites have completed assembly and testing, and are now prepared for shipment to the launch site at Vandenberg Air Force Base in California. The shipment of these satellites represents a significant milestone toward the first launch of the Iridium NEXT constellation, which the company officially announced as targeted for September 12, 2016. Assembly, integration and testing of the satellites are performed by Thales Alenia Space and their subcontractor, Orbital ATK, at the Orbital ATK manufacturing facility in Gilbert, Arizona. The production process incorporates a unique, assembly line system consisting of 18 different work stations ranging from panel integration and payload testing to full satellite integration, solar array installations and alignment checks. Each satellite features more than 5,000 individual parts assembled, culminating in one hundred thousand hours of workmanship by hundreds of engineers. A total of 81 satellites are scheduled to roll off of this assembly line, with 66 serving as the operational satellites to replace the existing Iridium® network, and the remainder serving as ground and on-orbit spares. Along with measuring the quality of the satellite production, the testing phases helped validate that the assembly line is fully qualified to move to high-rate production. During the last three months, the number of assembly, integration and testing engineers working on Iridium NEXT has doubled at Orbital ATK’s facility. With the vast resources and aerospace engineering talent in the Phoenix area, the team plans on adding another 30 engineers as production increases to complete more than five satellites per month. All Iridium NEXT satellites are scheduled for launch by late 2017. Starting in 2018, the Iridium NEXT constellation will enable Aireon’s satellite-based system to provide global aircraft surveillance in real time. Iridium and SpaceX have partnered for a series of seven launches, with ten Iridium NEXT satellites deployed at a time.